When I first saw the SOG Desert Dagger on Uma Thurman’s hip back in 2003 I knew I wanted one. In Kill Bill the knife is carried in a worn leather sheath which looks great. Imagine my disappointment when my one arrived in a kydex sheath. It was the first knife I ever owned with a kydex sheath, I didn’t even know you could get knives in plastic sheaths up to that point! I always wanted a leather sheath for it, I did think about buying one but never got around to it. 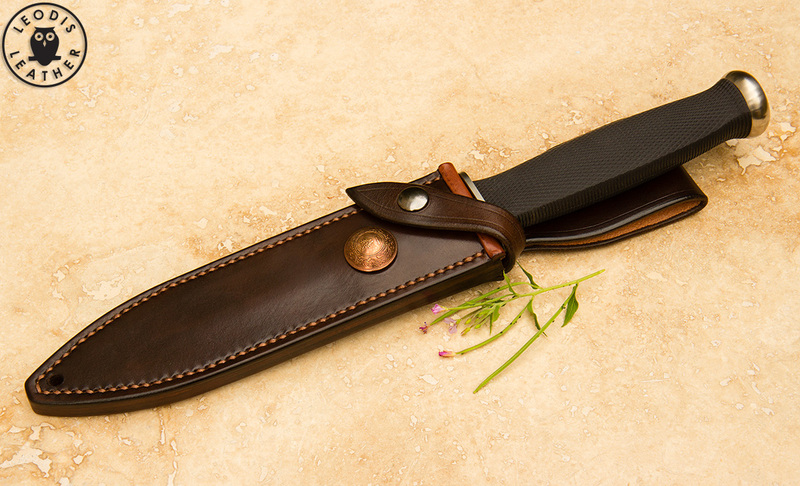 Once I joined British Blades and started to look at the work in the leather forum I realised that maybe I could make one myself. 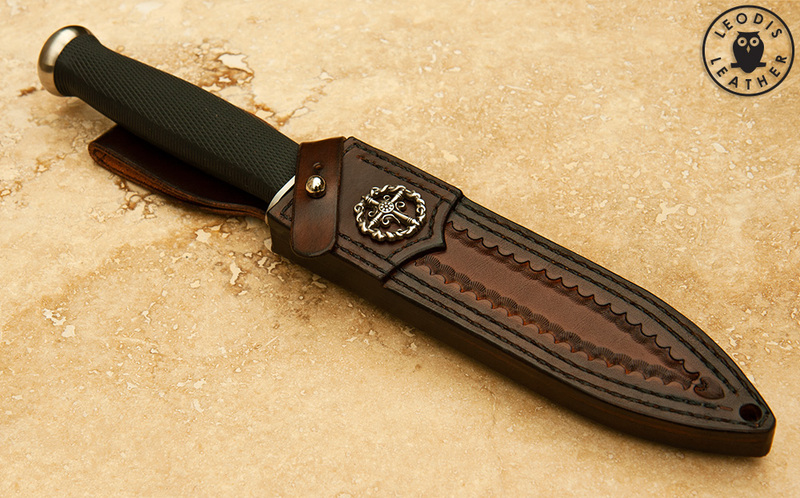 In other words the Desert Dagger is really the whole reason I took up leatherwork. Thanks SOG!